Every year on December 1, I climb up to the attic and bring down the Christmas scrapbooks. “Be careful”, I tell my daughter as we leaf through them, “these books are old and each is one of a kind – you cannot replace them”. 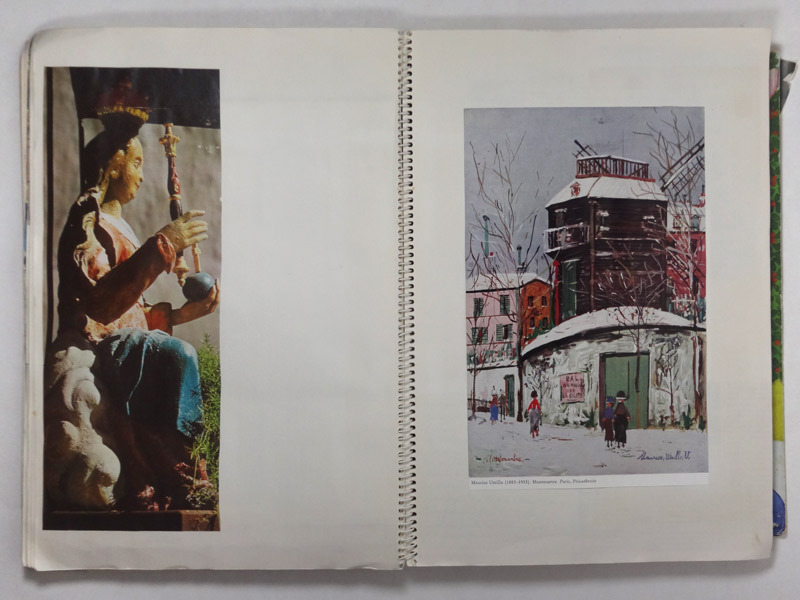 There are three of them – three stacks of large drawing paper ring-bound with a cardboard back and cover, dressed in old-fashioned wrapping paper. 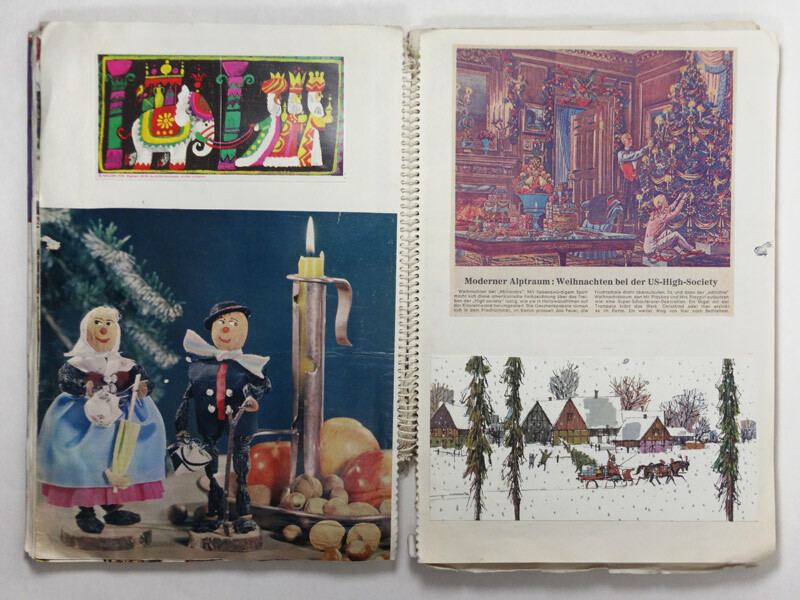 We put them on a table for browsing, as their pages are heavy with layers of paper. 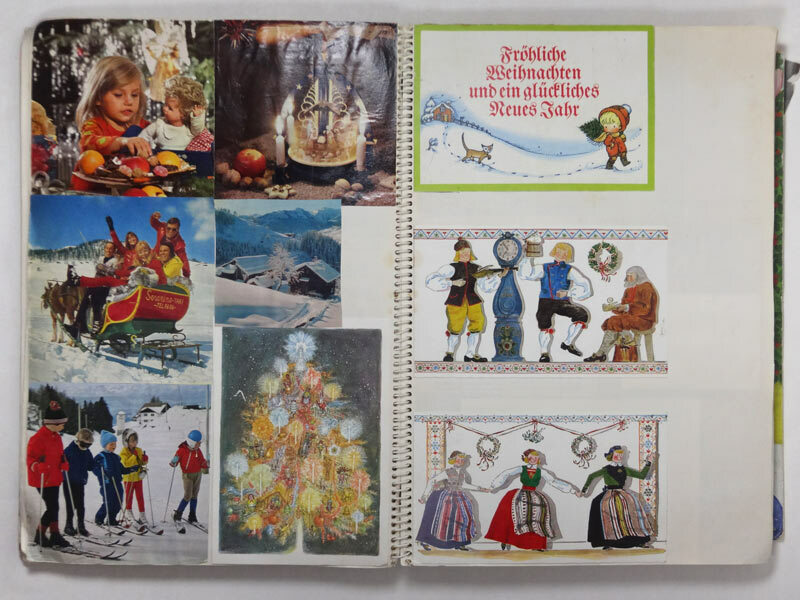 They hold greeting cards, advent calendars, images and clippings from annuals, magazines and newspapers – anything that said “Christmas” in mid-seventies West Germany. 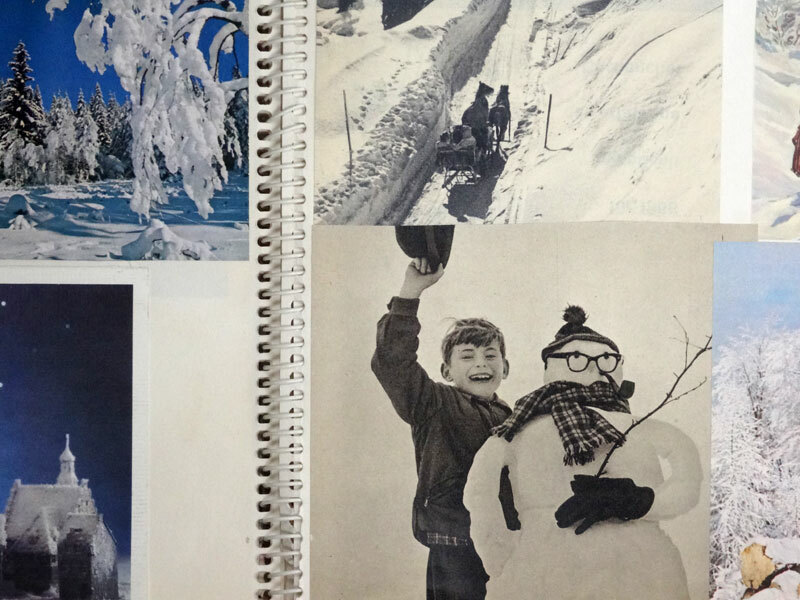 The author of this visual compendium is my mother, who, over a few years when my brother and I were little, cut out, collected and composed these scrapbooks. My mother was always crazy about Christmas. On Epiphany, the day my family traditionally undressed and chucked out the tree from last year´s celebration, she started planning for the next one. As I grew up in a non-religious household, we did not have to show any spiritual restraint in our Christmas celebrations. We could concentrate on the fun of it: the slow build-up made up of crafty afternoons, sentimental songs and all the handed-down recipes, smells and rituals. It all culminated on Christmas Eve in a tree hung with enough baubles to dress every other tree in our street. Behind it stood the obligatory bucket of water – there could only be real candles of course! 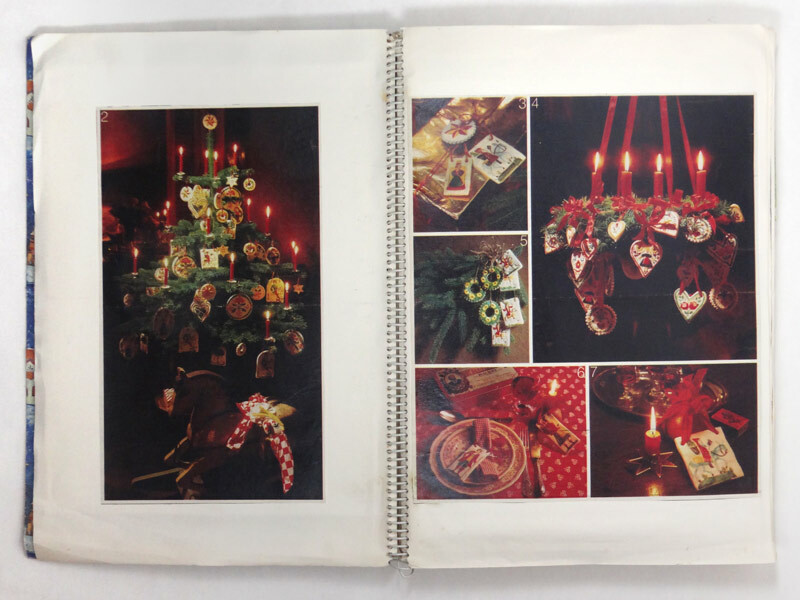 Crucially, many of my mother´s festive props only came out for the occasion, the Christmas scrapbooks being such a rationed treat. “What made you start the scrapbooks?” I ask my mother. 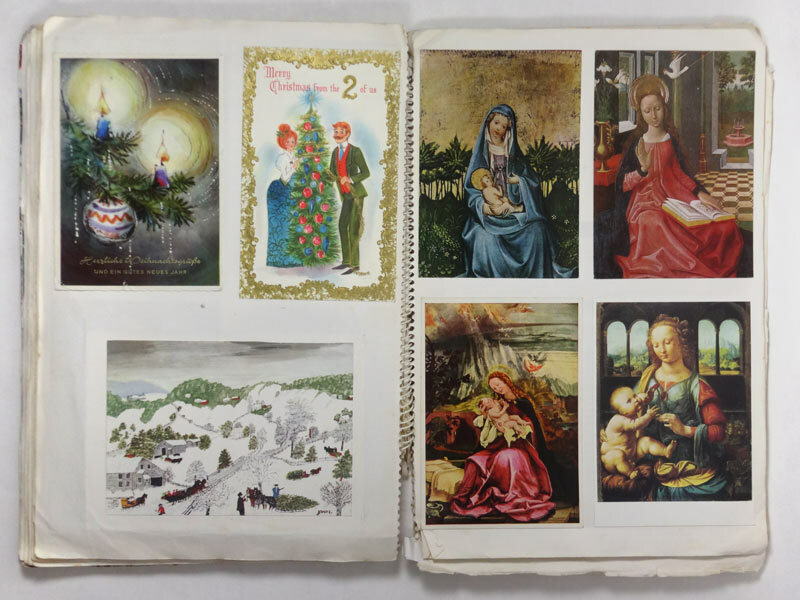 “Oh, I felt that we just did not have enough Christmas images to look at”. It is hard to imagine now that – not so long ago – there was a time when there were ‘not enough images to look at’. 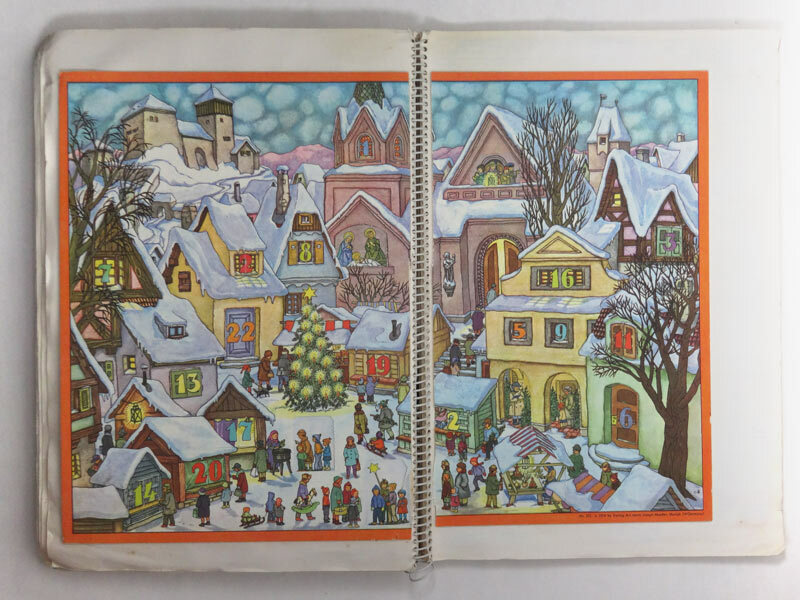 Today you can find images of the most obscure habits and traditions on the Internet and when I type the word “Christmas” into a search engine, I get 1.5 billion results. 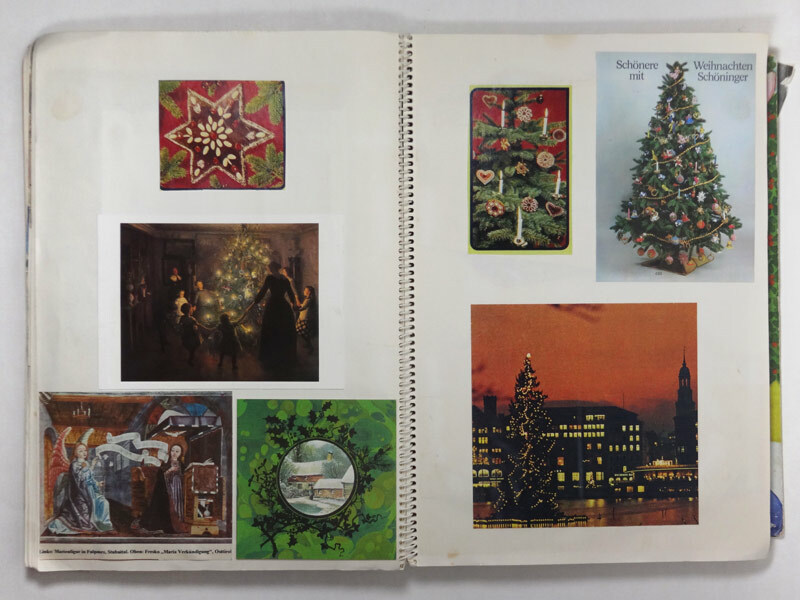 Even my mother would get exhausted from looking through so many festive images. I think about how this number will grow exponentially this year, and next … and close my laptop. Instead, I turn to the roughly 750 pictures in our scrapbooks that I have looked at every year for most of my life. Each one of them is as familiar as an old friend, but far from making it boring, it is exactly this familiarity that makes the exercise so enjoyable. A joy I remember from my childhood. 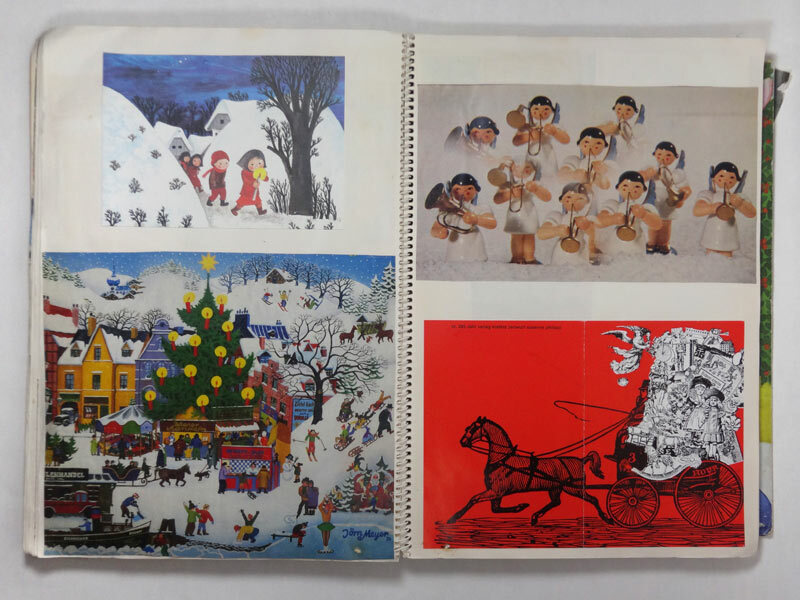 Then, the advent calendars from previous years were the biggest attraction for us. We spent hours opening their paper doors from one to twenty-four, and then up to the next one. 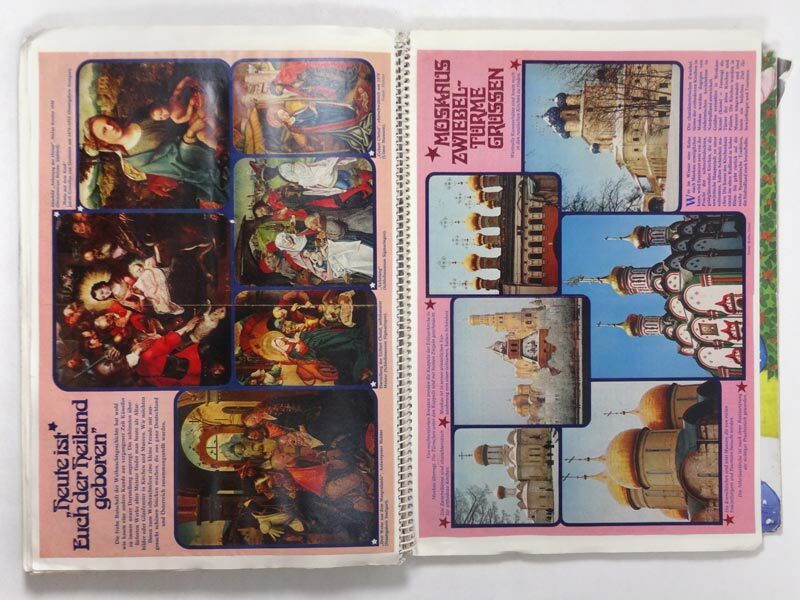 With these old calendars, we were free from the rule that you had to go to sleep before opening the next one – an intoxicating feeling comparable to binge-watching a series. One of my favourite images was an illustration that was sneeringly titled “A modern nightmare: US High Society Christmas”. It showed a stylish couple decorating a lavish tree in a luxurious sitting room – oh how I wanted to be there with them! I also wanted to be that little blond girl decorating the tree with tinsel, the little angel sewing dolls clothes or the boy jokingly placing his glasses on a snow man. The more removed their worlds were from mine the more desirable they looked. 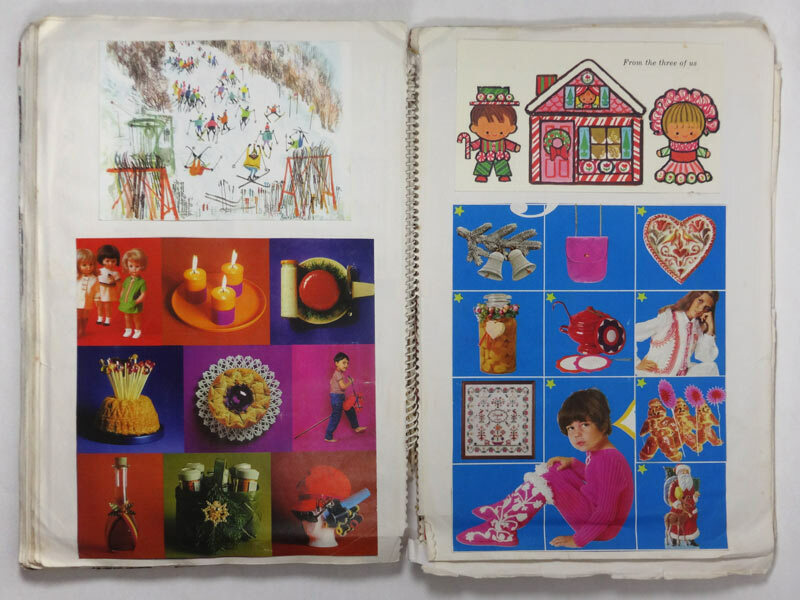 Kids love kitsch – and kids are nostalgic: my daughter likes the page with the newspaper articles bemoaning the lacking romanticism of modern (1975!) 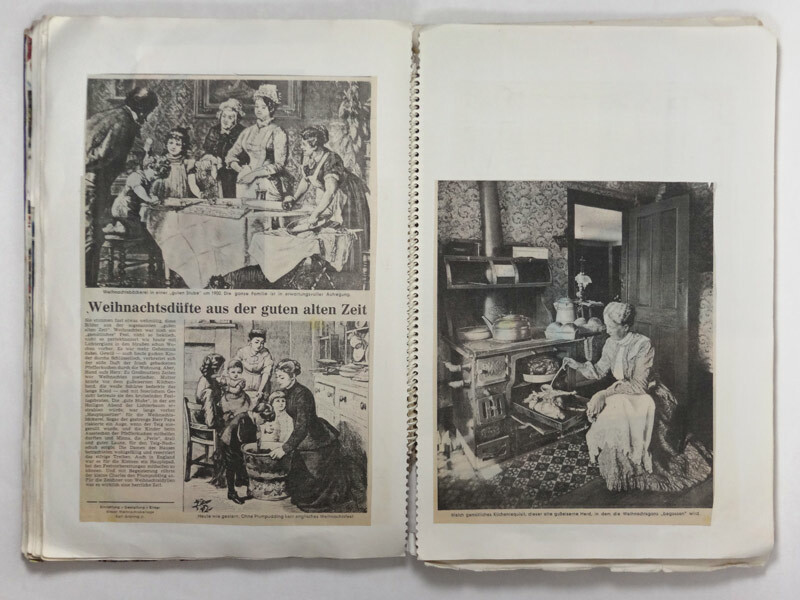 Christmases compared to those of the nineteenth century. 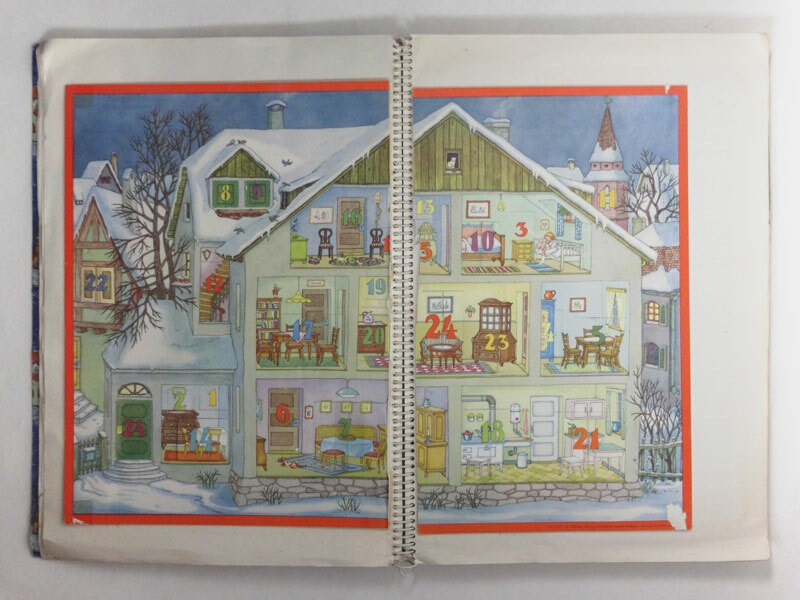 Cozily snuggled up we flip through pages filled with snowy landscapes. Never ever did it snow as much as in the past that never was. How many ways are there to dress an Advent wreath? 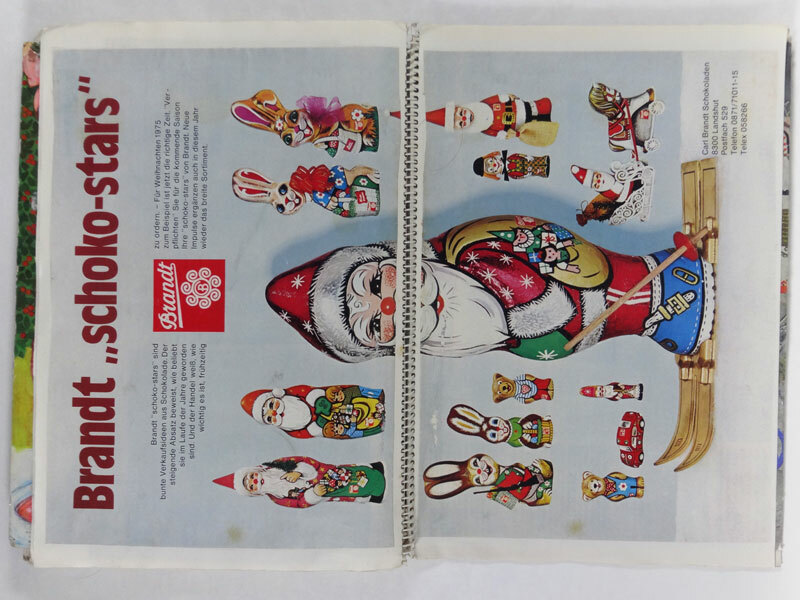 We both like the Brandt ‘Schoko-Stars’ starring a chocolate fellow on skis, flanked by a cast of five supporting Santas and three Easter bunnies. 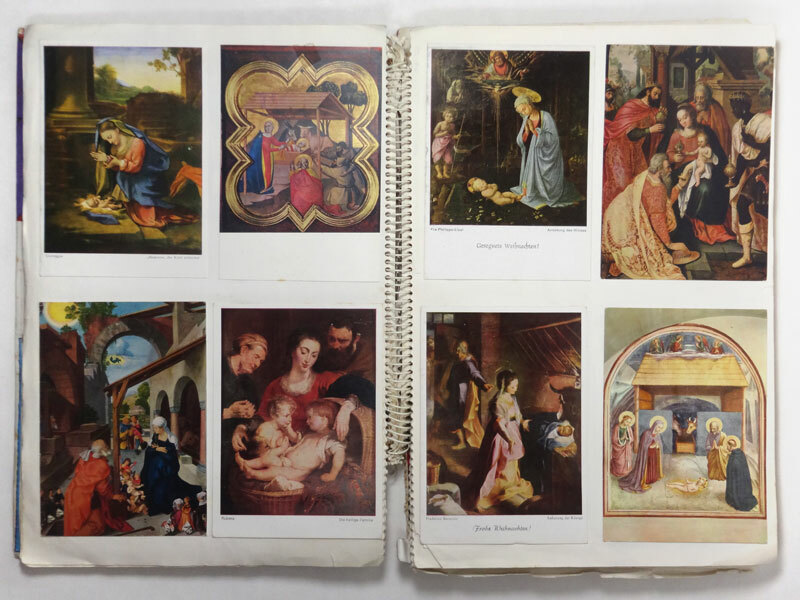 The pages I brushed past as a child, like the different versions of Mary and child by old masters, now keep me hooked. I am fascinated by the different ways babies have been depicted over the ages, from the rigid infant of the Middle Ages to the jolly Baroque babe revelling in its fat. 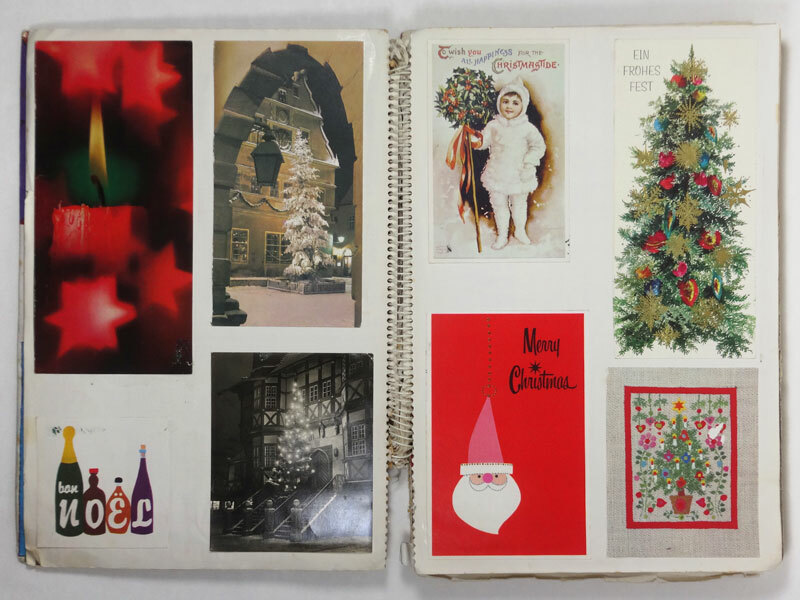 The charm of the scrapbooks is the haphazard mixture of styles and provenance. 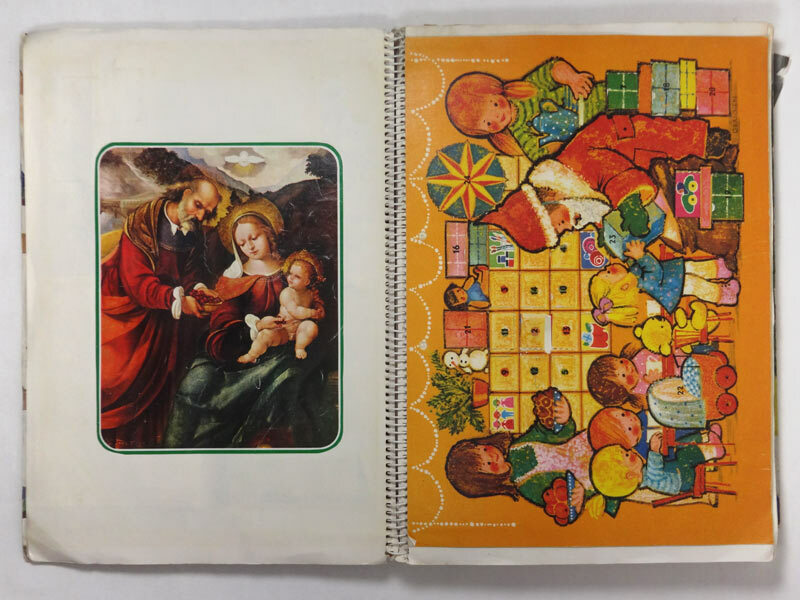 “The Christmas books you could buy at the time, had images of only one kind”, my mother explains, “I wanted to mix images from all different sources”. 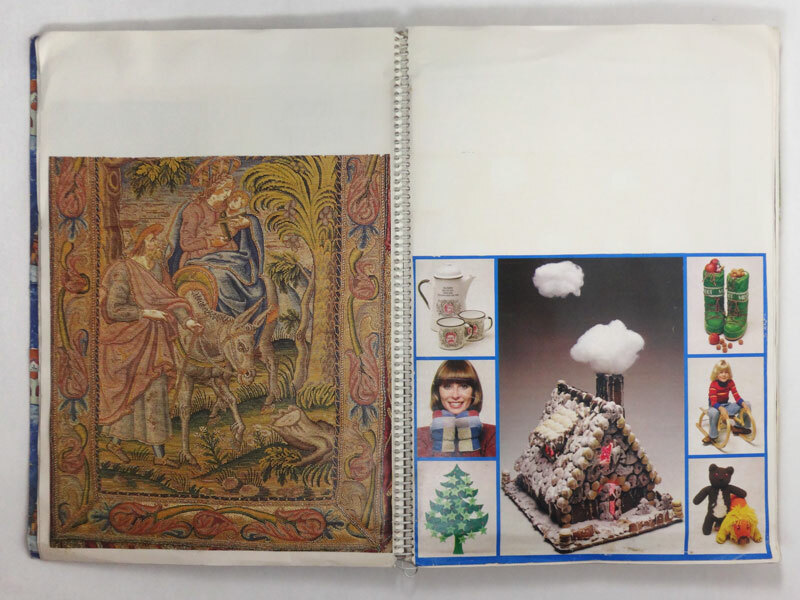 Do our books thus represent a bit of a pre-Google image-search? 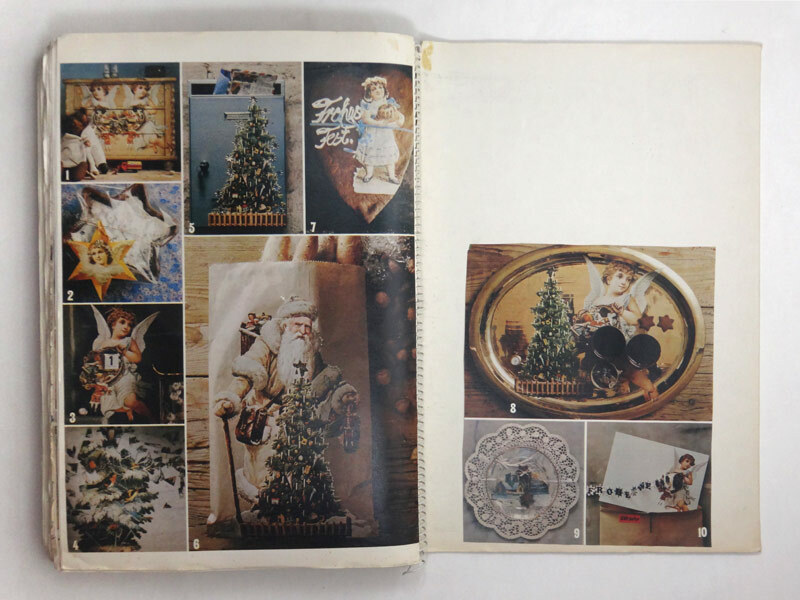 I type “Christmas 1975” into the search engine and see pages on pages of family snapshots around the tree in the typical brownish hue of the photo material of that time. All images look very ‘seventies’, or rather how we learned to remember that era: all corduroy and flock wallpaper. 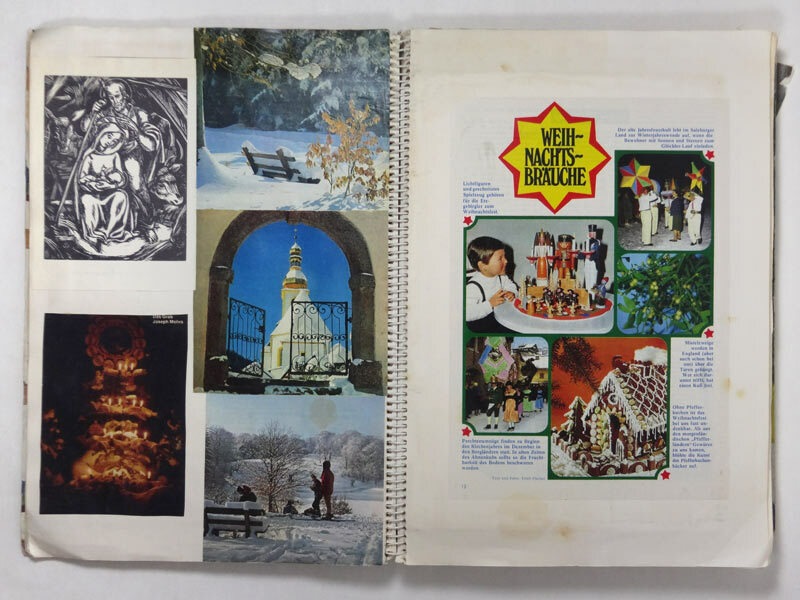 When I compare my search results to our scrapbooks, the technological filter seems to have flattened Christmas 1975 into one dimension. 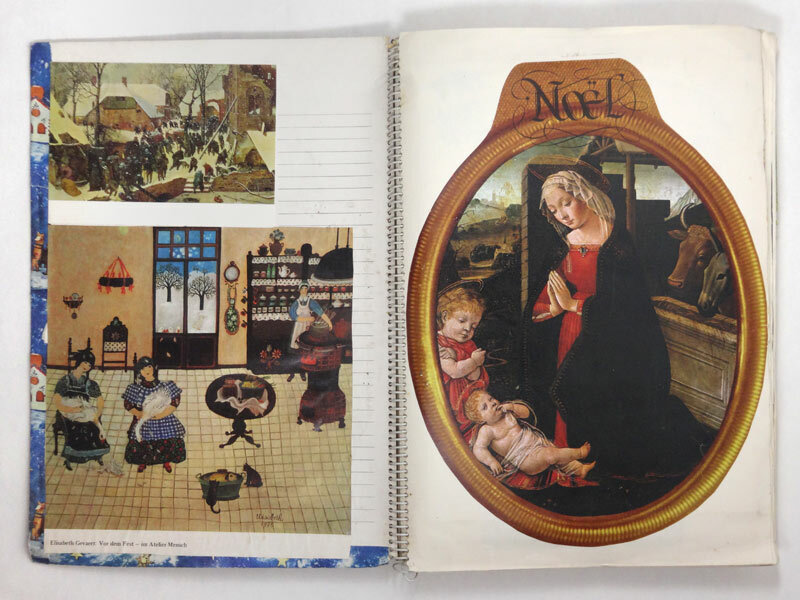 Whereas the emotional algorithm of my mother produced an expanding cosmos: There is a touch of Tintoretto, a sprinkling of snow-covered alps, a handful of historic wood cuts, festive folk art from far away and virtuous Victoriana with a seasonal sparkle of illustrations. Some artists seem to have been nostalgic for last decade´s fashions, while others were far ahead of their time. 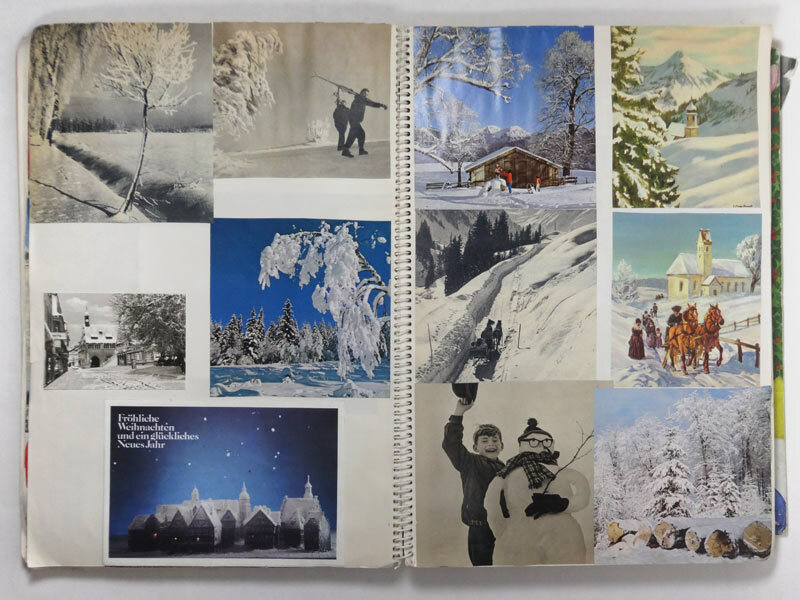 The scrapbooks have preserved a subjective slice of life that shows something that Google cannot show: our Christmas experience is not so much situated in the present but rather in a messy time- warp of nostalgia for the past and longing for a brighter future. No wonder many people find it stressful. I like it that way. Have a merry Christ-mess everybody!